Hotchkis Caster/Camber Plates allow for more adjustment than stock mounts allowing for more alignment options. 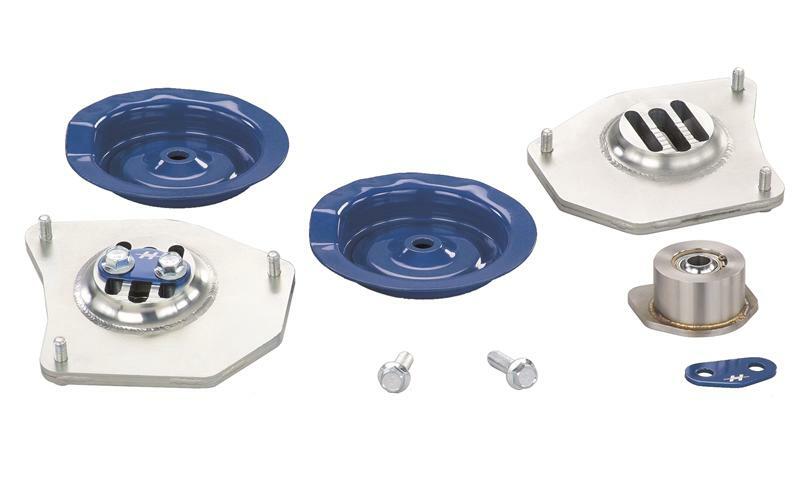 Hotchkis Caster/Camber Plates plates feature polyurethane bushings for quiet operation and maximum performance, and are CNC machined from 6061 heat treated aluminum. The TIG welded strut hats increase strut travel which is especially important on lowered cars.